This ring is the eye of a tiger. 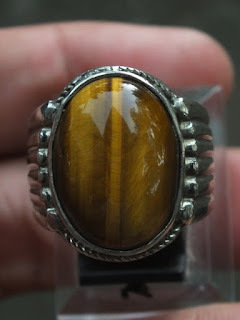 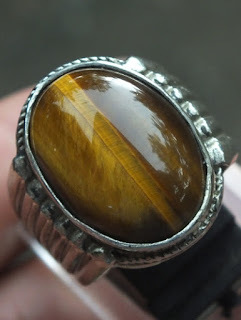 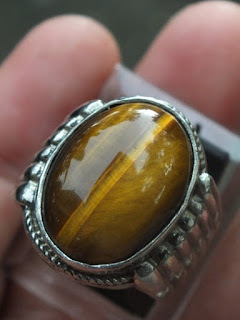 It has golden tiger's eye color. It is already set on a nice 19mm alloy ring. 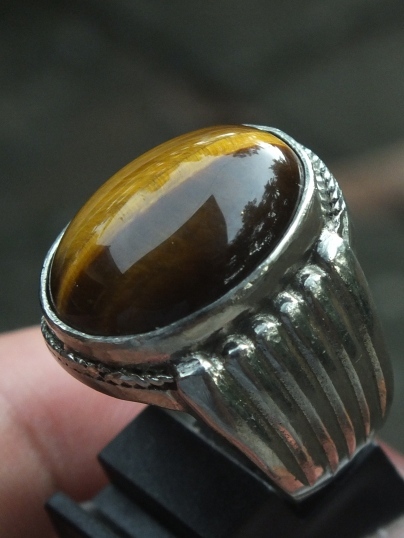 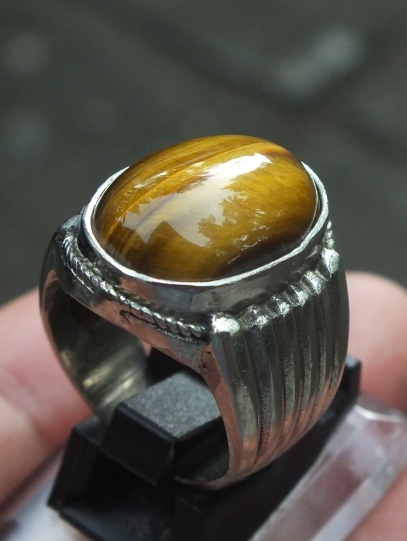 The size of the tiger's eye is (est ) 19,5mm x 14mm x 7mm. Get this beautiful Natural Tiger's Eye now! !